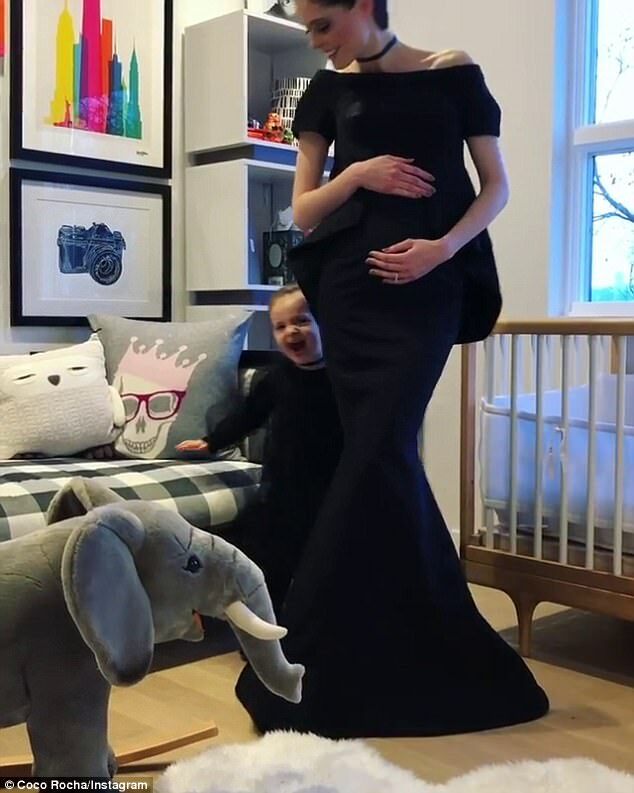 Coco Rocha is pregnant with her second child by her husband James Conran. The 29-year-old revealed Monday that she's expecting, posting a sweet Instagram video in which her two-year-old daughter Ioni broke the news. 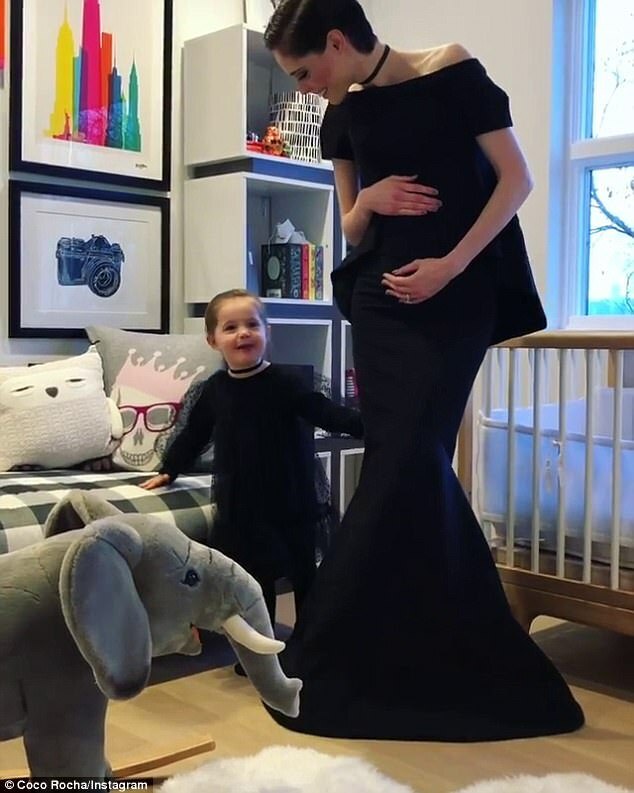 At the beginning of the clip, Ioni hid behind her mother as the pair of them stood in the toddler's nursery at the family home in Westchester County, New York. 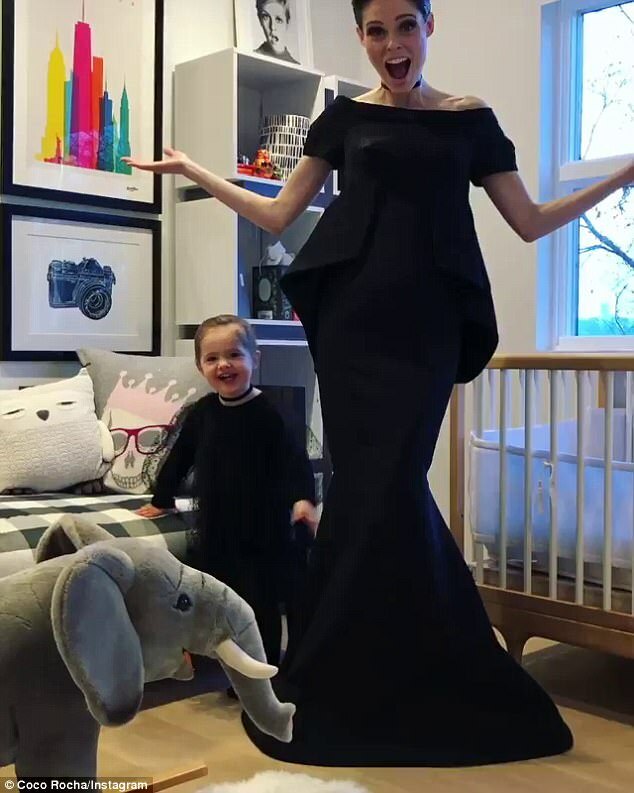 The Toronto-born model, who had draped her burgeoning baby bump in a form-fitted off-the-shoulder black gown, cheerfully hugged her daughter. Coco captioned: 'Your attention please! @ioniconran has a very important announcement to make! !,' adding a megaphone emoji before: '#babyconran2'. James, an interior designer who hails from Britain, married Coco back in 2010, and going by a 2014 Forbes article is also her manager. In March of 2015, they welcomed little Ioni, who has had an Instagram account her parents 'Monitor' since the day she was born. 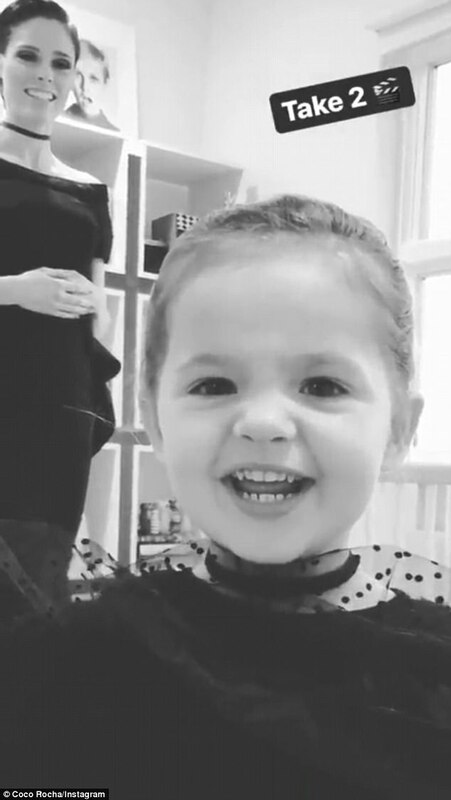 On Ioni's Instagram page this Monday, there was a new black and white video of the two-year-old in the nursery gleefully announcing: 'There's a baby in Mommy's tummy!' before rushing back into her mother's arms. That day, Coco was photographed wearing the same off-the-shoulder black dress as in the video when she swung by The Bloomberg 50 Celebration in New York City. She posed up a storm on the black carpet at the Gotham Hall event, standing for photos on the arm of her besuited husband, who was in black tie. James' navy suit featured a black lapel, and he clashed it elegantly against a white dress shirt, rounding out the ensemble with a pair of black dress shoes.